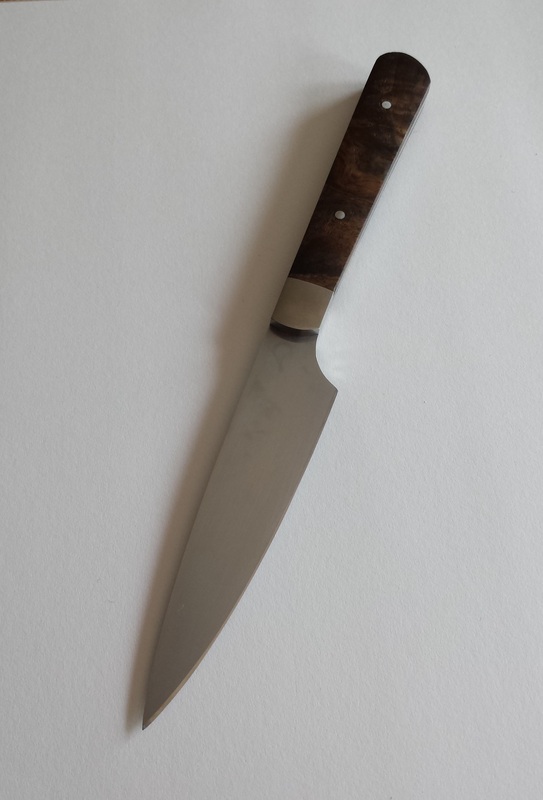 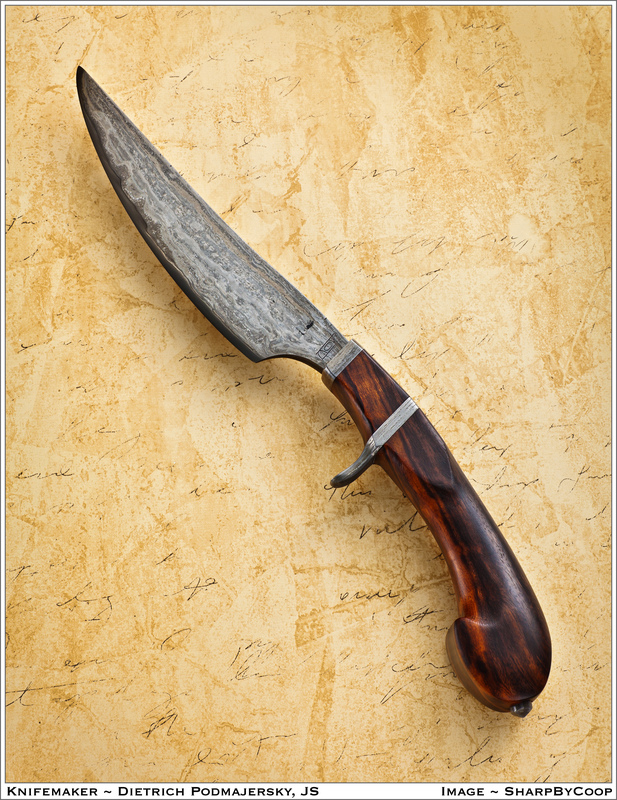 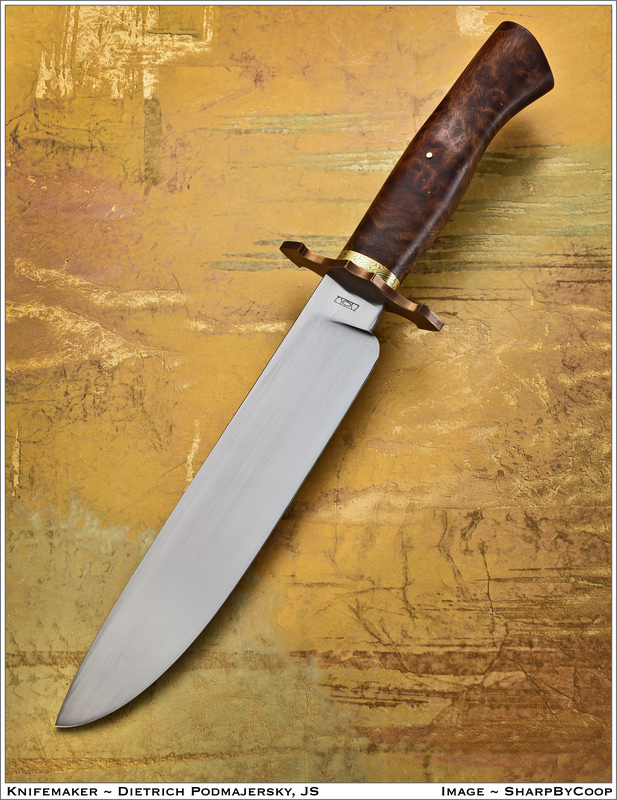 Bowie, 5160, Silicon Bronze Guard, Silicon Bronze/Nickel Silver Mokume Gane fittings, and Black Walnut Burl handle. 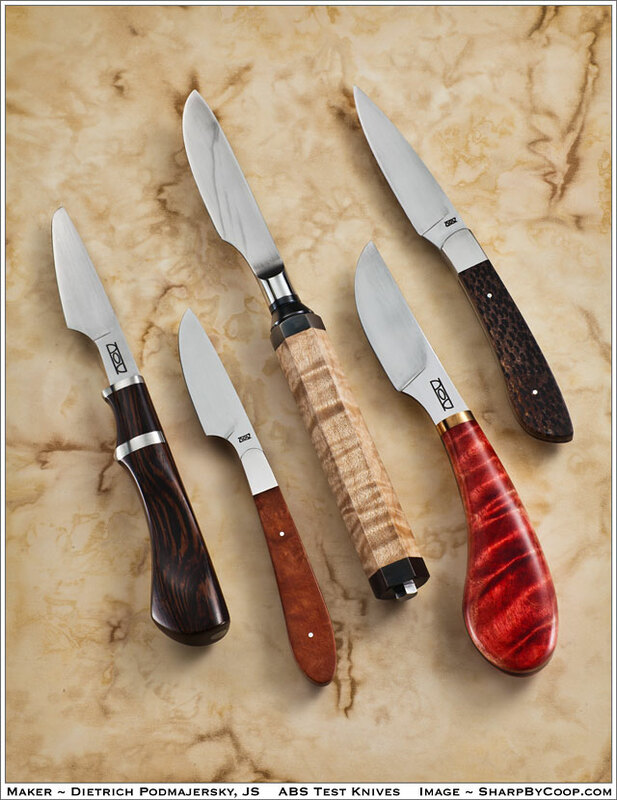 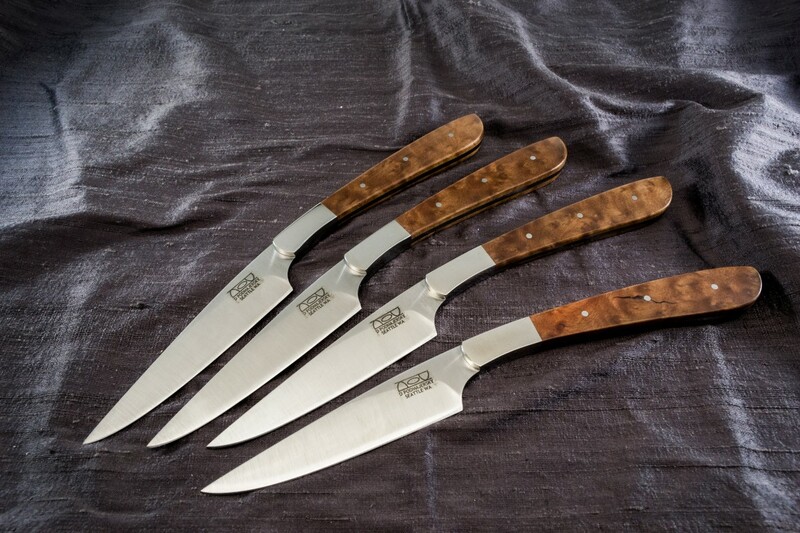 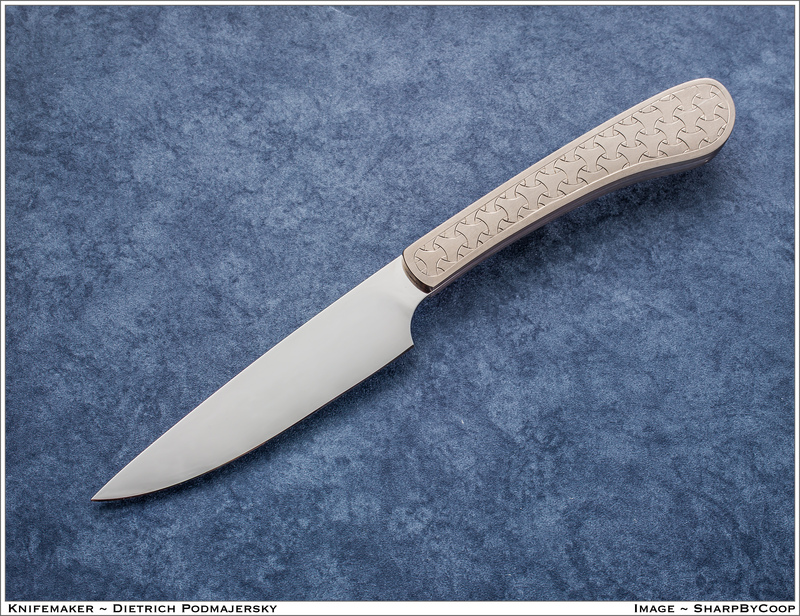 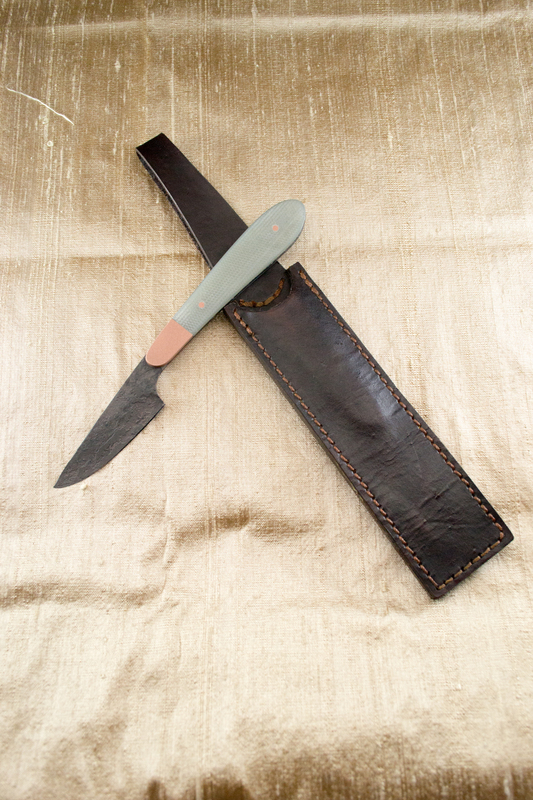 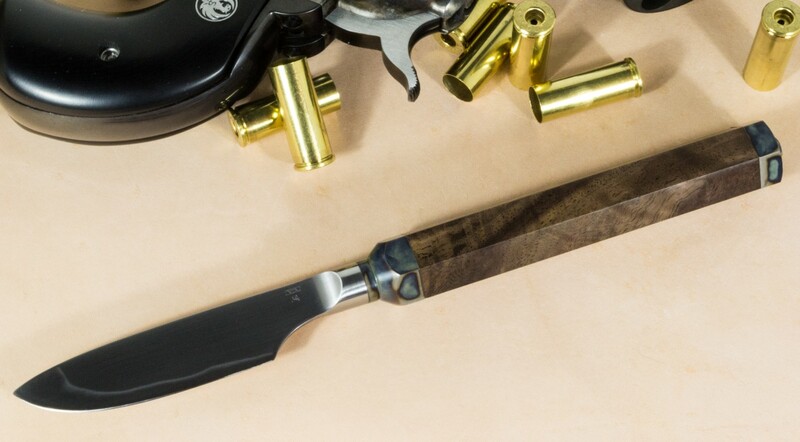 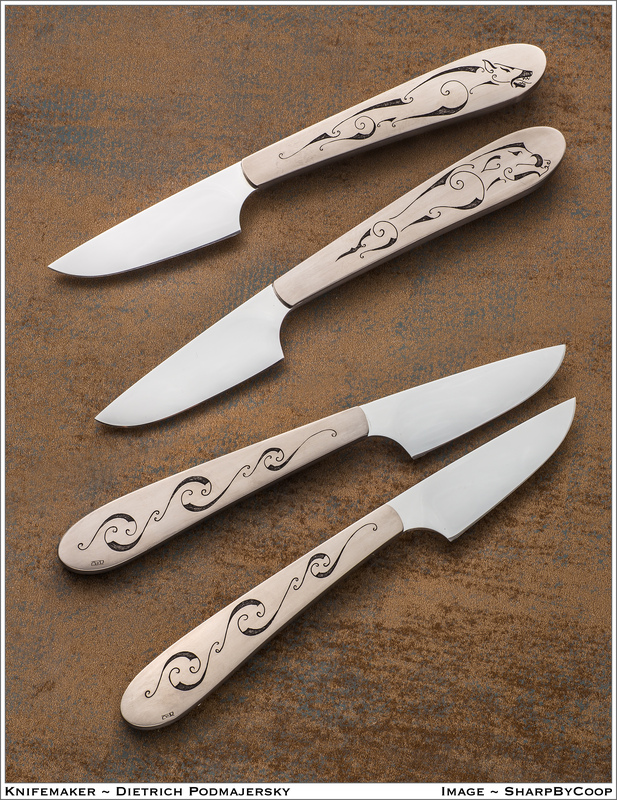 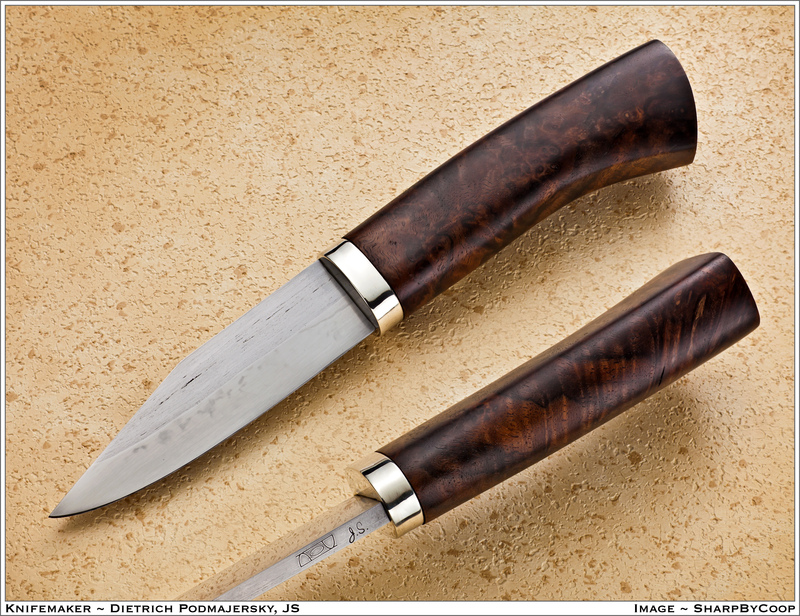 Dietrich Podmajersky’s Journeyman Smith Test Knives. 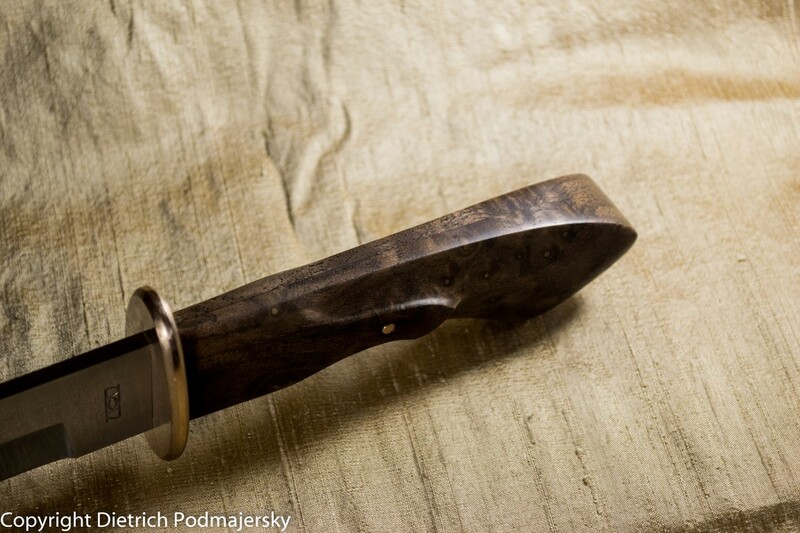 Photo by Sharp by Coop.